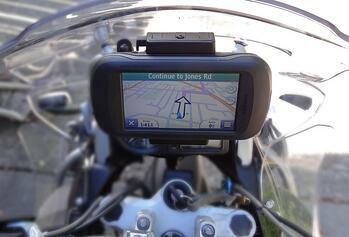 Editor's Note: This article about the best motorcycle gps options was originally posted in 2013, but our readers and riders still get a tremendous amount of value from it, as it's the most visited article on our site. Review the options below and use it as a stepping stone for further research. Also, we have a 2017 Update Article Linked Below. *Please note: This is not an advertisement paid for by Garmin, and none of the reviews on www.rideadv.com are paid for by the manufacturers we recommend! 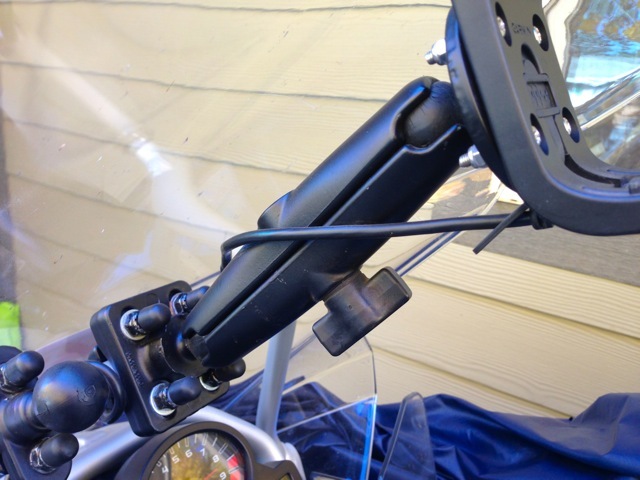 In the past couple of years, I've tested 3 dedicated units and 1 iPhone trying to figure which works best as my motorcycle GPS. Below you'll find mainly the negatives for each unit, boiling it all down to the best motorcycle GPS unit for my situation. 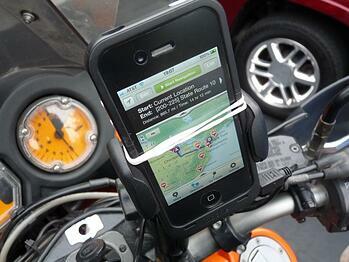 Will my GPS choice be the best for you as well? You decide. 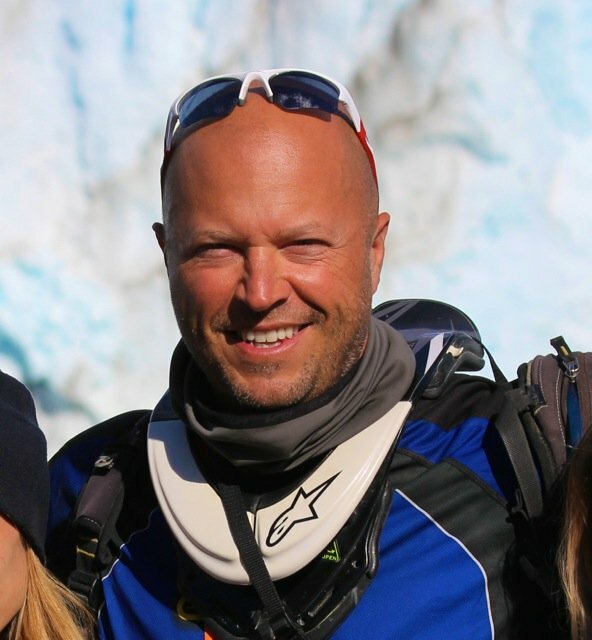 I'm a motorcycle tour guide with dual sport riding & routing needs. Sometimes I'm following previously recorded routes & tracks, and sometimes out prospecting new motorcycle trips through the woods in regions seldom-traveled, recording what might serve as great options for our customers. If your situation is even close to mine, this article will make your next GPS purchase decision easy. The combination of charging cables & protection from the elements would make my iPhone susceptible to damage, dust, water, etc. 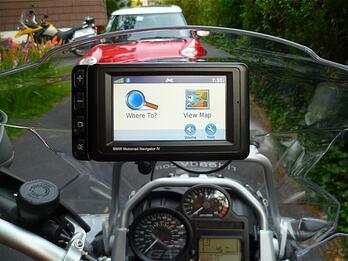 Any hard plastic, non-touch-type screen also catches a tremendous amount of glare from lights and the sun. So in this case, the 62s is hard to see for reasons of being too small and for glare. 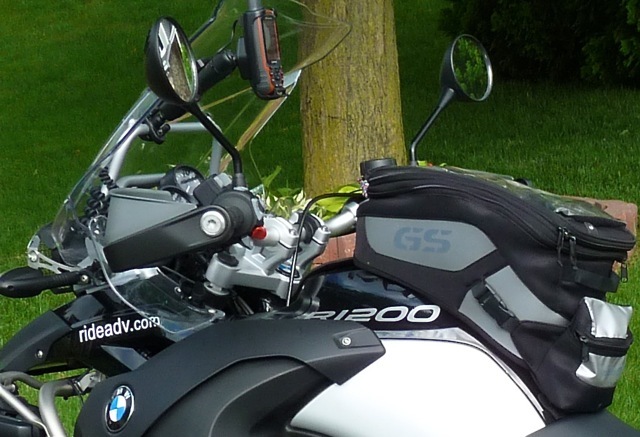 So in summary, the Garmin 62 S had me seeking change again, but as luck would have it, BMW was running a promo last year that meant when I bought my new 2012 R1200GS Adventure, I got a new BMW Motorrad Navigator IV for free! At a retail value of $800-900 USD, it's a bit uncomfortable to mount a unit that expensive on the bike, knowing what the replacement cost is. After about 10 months, I did have some technical issues with the Montana, where the screen was freezing and rotating on it's own and the unit was shutting down without reason. I sent it back to Garmin, and they quickly replaced it for me at no charge (still under 1-year warranty.) That being said, be careful with buying one that doesn't have warranty coverage. So I hope this helps, as quite a bit of testing has gone into each of these GPS's. 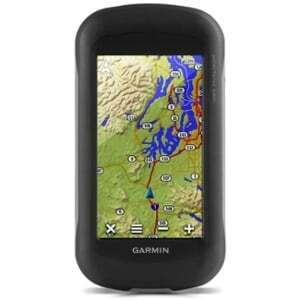 Indeed, this can still seem like a bunch of money to spend, but given the wide range of abilities the Garmin Montana has, I bet you'll find it well worth the investment. As one more side note: Spend the extra $100 (approx) and buy Garmin's City Navigator Map for your home country/region, and you'll be glad.